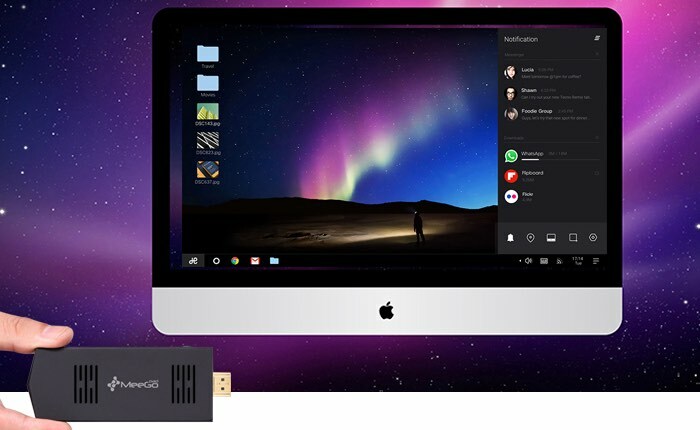 Meegopad has this week unveiled a new mini PC stick they have created in the form of the Meegopad A02, which comes preloaded with the awesome Remix OS operating system and has been launched via a crowdfunding campaign from the JD website in China. The MeegoPad A02 PC Stick is equipped with a Allwinner A83t ARM Cortex-A7 octa-core processor which can be supported by to 2GB of RAM and includes up to 32GB of internal storage. Check out the video below to learn more about this new Remix OS TV Stick that runs the modified Android operating system which is being tweaked to provide a more desktop-esque environment. Other features of the MeegoPad A02 mini PC include connectivity via both 802.11b/g/n WiFI, Bluetooth 4.0. As well as a HDMI connector, 2 x USB 2.0 ports, 1 x USB port for power and a handy microSD card reader.